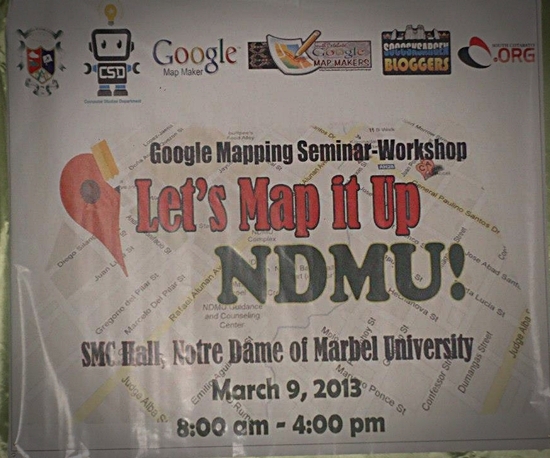 Google Mapping Seminar-Workshop: Let's Map it up NDMU! 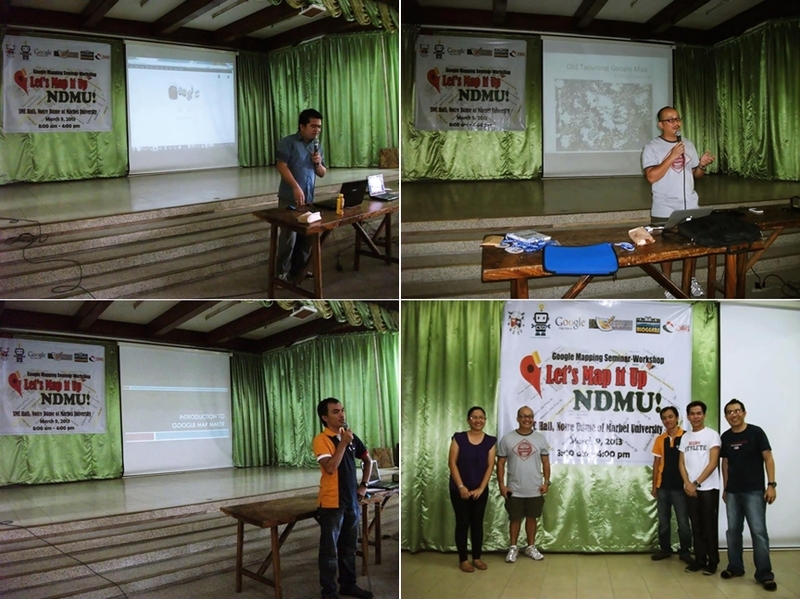 Seventy-six (76) students from the Computer Studies Department and College of Engineering of Notre Dame of Marbel University participated in a Google Mapping Seminar-Workshop entitled "Let's Map it up NDMU!" last Saturday March 9, 2013 at the university's SMC Hall. Organized by the Computer Studies Department and supported by NDMU administration, the Google mapping seminar and workshop aims to teach students the basic knowledge in online mapping using Google Map Maker, a service developed by Google which allows users to add, edit and update places on Google Maps. The event also aims at producing new citizen cartographers from South Cotabato. It was also attended by members of the South Cotabato Google Map Makers, an informal group of online mappers with their president Arnel Robles (a former IT Instructor at NDMU) as one of the resource speaker. He effectively taught the participants and lead the workshop on how to add places, do reviews and edits among others. Another resource speaker was Dr. Remo Aguilar, orthopedic surgeon and currently Chief of Clinics at St. Louis Hospital in Tacurong City taught the students how to map places despite the lack of high resolution imagery. And taking their experience in mapping Tacurong City as an example, Doc Remo also taught the participants how a GPS-enabled mobile phone can be of help in mapping a locality. Reynard Navarro, owner of this blog and SouthCotabato.Org gave a brief overview of Google Mapping in the Philippines, taught the participants how to create a Google account and introduced Google Map Maker to the participants. 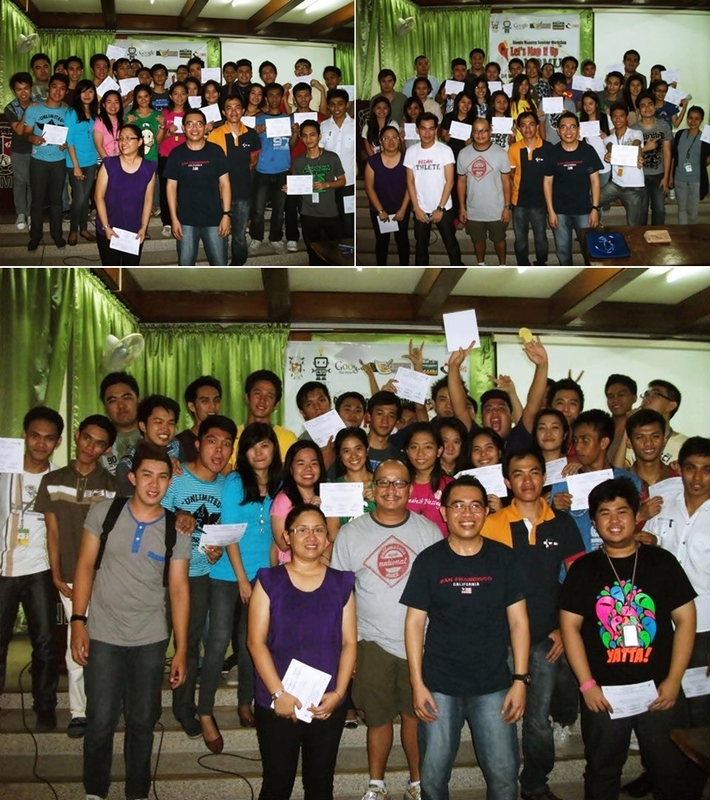 NDMU and South Cotabato mappers, with the organizers and resource persons of Let's Map it Up NDMU!